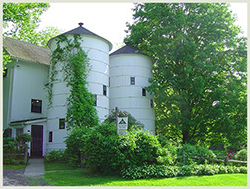 The town of New Milford is considered the “Gateway to Litchfield County” due to its location on the western border of Connecticut in the beautiful Housatonic Valley. To the west is the quiet town of Sherman and Connecticut’s largest lake: Candlewood Lake. It is bordered by Danbury and Brookfield to the south, Kent and Warren to the north and Washington, Roxbury and Bridgewater to the east. With a quickly growing population of over 28,000 people, it is the second largest town in Litchfield County. New Milford is actually the largest town by area in the state, consisting of approximately 64 square miles, and includes the communities of Merryall, Northville, and Gaylordsville. Available immediately best location in new milford on rt.7 only minutes way from down town 1.800+- square foot of retails or office space on main floor ideal location for doctors insurance office hair salon clothing store restaurant or any others retails uses. Call listing agent for more information and key to showing. Thank you agents the lock box now is on railing by the feed barns front steps for the store or call listing agent for direction. 1480 sq. ft. of living space with new energy-efficient Anderson windows. Main level has 2 bedrooms, kitchen and full bath. Lower level has Family room and 3rd bedroom or den with 1/2 bath and its own entrance. Large deck & fenced yard and plenty of paved parking space. Access to private beaches on Green Pond (swim, kayak & canoe) and Candlewood Lake (swimming and boating*). If landlord approves pet, additional monthly fee per pet applies. *Option: Boat dock available on Candlewood Lake $1000 for the season. Airplane tie down available at Candlelite Farms grass landing strip nearby. Please do not disturb current tenant ...they are moving out on April 24. Showings commence with Public Open House hosted by Listing Agent from 6 PM - 8 PM on Thursday, April 25. Realtors interests will be protected. Three bedroom antique colonial farmhouse, walk to town, theater and restaurants. Stairs to house are heated, no shoveling! New carpet upstairs, new water heater, new floor to be installed in kitchen. Good credit a must, references and No pets, please do not ask. Also for Sale MLS 170129316. Must Call for appointments Present the space is used for storage, This space is ideal location for deli coffee shop hair nail salon offices animals hospital and any others uses that zoning allowed. Sweet, sunny and bright second level in historic house in downtown location. Eat-in Kitchen, living room with nooks and crannies, 2 large bedrooms, large full bath with washer/dryer, front entry foyer with storage. Walk to everything downtown!